The TDE gang are holding down the fort with their new music. 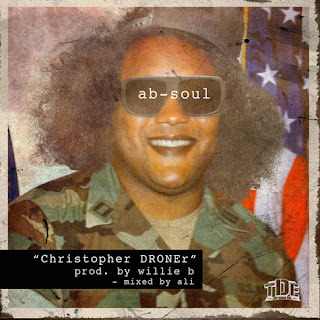 Ab-Soul refers to Kanye's single ‘New Slaves’, in his new track ‘Christopher DRONEr’ - which he names after the Los Angeles police officer who earlier on this year, went on a killing spree. Ab-Soul will release new material soon, alongside ScHoolboy Q!